Financial Management Association International (FMA) is pleased to announce the 2017 Conference on Derivatives and Volatility at the Cboe Options Exchange in the heart of downtown Chicago, IL. 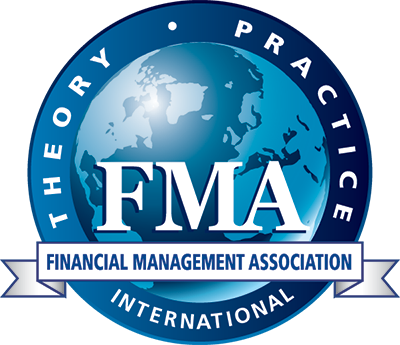 The conference is smaller and more focused than the FMA’s traditional meetings and will include derivative and volatility focused papers as well as panel sessions on industry trends. 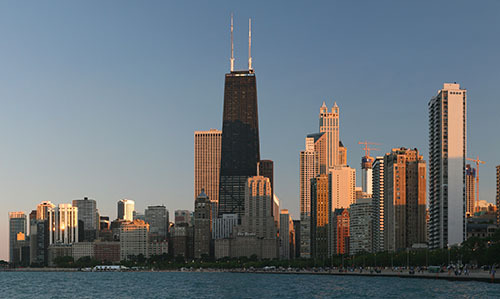 In addition to benefiting from the presentations of high-quality research, expert presentations, and a tour of the Cboe Options Exchange conference participants have the opportunity to enjoy a weekend in windy city – and explore everything the city has to offer – from entertainment on Navy Pier to historic Grant Park – to name a few attractions the city has to offer. Registration Fee: $95.00 for members and nonmembers. Onsite registration will be available on Thursday, 9 November from 1:00 pm - 2:00 pm and Friday, 10 November from 8:00 am - 8:45 am on the 4th Floor, Auditorium Entrance. 11:15 a.m. - 12: 00 p.m. Lunch - 12:00 p.m. - 1:00 p.m.
Dr. Peter Carr is the Chair of the Finance and Risk Engineering Department at NYU Tandon School of Engineering. He has headed various quant groups in the financial industry for the last twenty years. He also presently serves as a trustee for the National Museum of Mathematics and WorldQuant University. Prior to joining the financial industry, Dr. Carr was a finance professor for 8 years at Cornell University, after obtaining his Ph.D. from UCLA in 1989. He has over 85 publications in academic and industry-oriented journals and serves as an associate editor for 8 journals related to mathematical finance. He was selected as Quant of the Year by Risk Magazine in 2003 and Financial Engineer of the Year by IAQF/Sungard in 2010. From 2011 to 2014, Dr. Carr was included in Institutional Investor's Tech 50, an annual listing of the 50 most influential people in financial technology. For information regarding hotels near the Cboe Options Exchange, please click here. For public transportation, directions, parking, and security information, please click here. Acceptance letters for the 2017 Conference on Derivatives and Volatility will be sent (electronically) to each paper’s presenting author in late June 2017. The presenting author will be required to register within one (1) week to confirm his/her attendance. The conference registration fee will be waived for the paper’s presenter. Papers accepted for presentation will be eligible for a $1,000 award.The award winning paper will be determined after the conclusion of the Conference. The best paper will be selected based on the quality of the research and the presentation at the conference. During the conference, use the hashtag #FMAatCBOE to follow the conversation on Twitter (@finmgmtassoc) and Facebook (www.facebook.com/FMA.org). Cboe Global Markets is one of the world's largest exchange holding companies, offering cutting-edge trading and investment solutions to investors around the world. Cboe offers trading across a diverse range of products in multiple asset classes and geographies, including options, futures, U.S. and European equities, exchange-traded products (ETPs), global foreign exchange (FX), and multi-asset volatility products. Our trading venues include the largest options exchange in the U.S. and the largest stock exchange by value traded in Europe. In addition, the company is the second-largest stock exchange operator in the U.S. and a leading market globally for ETP trading. Cboe is home to the Cboe Volatility Index (VIX Index), the world's barometer for equity market volatility; the Cboe ETF Marketplace, the fastest growing listing venue for issuers; Cboe BXTR, the largest trade reporting facility in Europe; Cboe Livevol, a leading provider of options technology, trading analytics and market data services; Cboe Vest, an asset management company specializing in target-outcome investment strategies; Cboe Risk Management Conferences (RMC), the premier financial industry forums on derivatives and volatility products; the Cboe Options Institute, the company's world-renowned education arm; and ETF.com, a leading provider of ETF news, data and analysis.